Type I hot corrosion behavior of SiO2–Al2O3–glass composite coating based on Ti–47Al–2Cr–2Nb substrate was investigated in the mixture salt of 25 wt%NaCl + 75 wt%Na2SO4 at 850 °C. The results showed that there was a bidirectional ion exchange between composite coating and the film of mixed salts, and the sodium ion in the molten salts penetrated into the glass matrix of composite coating, while the potassium ion in the glass matrix dissolved into the molten salts. 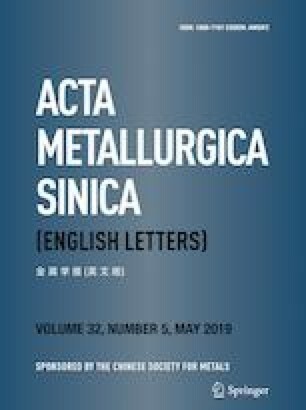 A decrease in hot corrosion rate was achieved for the coated alloy in comparison with the bared substrate due to the composite coating acting as a diffusion barrier to sulfur and chlorine and preventing the molten salts from diffusing to the coating/alloy interface during the hot corrosion exposure. Additionally, the composite coating decreased the oxygen partial pressure at the coating/alloy interface and promoted the selective oxidation of Al to form a protective Al2O3 layer. This work was supported by the National Natural Science Foundation of China (Grant No. 51201171) and the National High Technology Research and Development Program of China (863 Program, Grant No. 2012AA03A512).